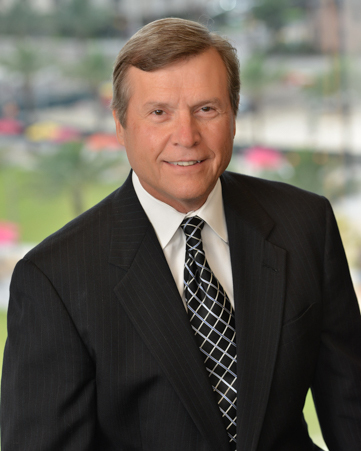 James G. Willard is a partner in the Orlando office of Shutts & Bowen LLP where he is a member of the Real Estate Practice Group. A Martindale-Hubbell AV® rated attorney, Jim’s been listed among the Best Lawyers in America® in real estate since 2009. He’s helped build the firm’s reputation in the Orlando real estate market and uses his more than 30 years of experience to represent clients throughout Central Florida. Jim represents developers and property owners in real estate development, land use and growth management issues. He understands the legal challenges affecting large projects, including developments of regional impact, and has often served as lead counsel for national clients in their purchase, sales, and development of real property. He’s represented Universal Studios and Orlando’s Millenia DRI project, Forbes Properties, Simon Property Group, North American Properties, Schrimsher Properties, Belz Enterprises and Bass Pro. His transactional work includes lending agreements, conveyancing of income and vacant property, commercial leasing, subdivision development, and condemnation. He handles land use and zoning issues for his clients and is experienced in dealing with all government bodies, having sought and gained approvals at the local, state and federal levels.